If you’re here, you might be wondering… What is a digital antenna? …and… Do I REALLY need one? Let’s start with your first question. A digital antenna is a type of TV antenna designed to receive digital TV signals. 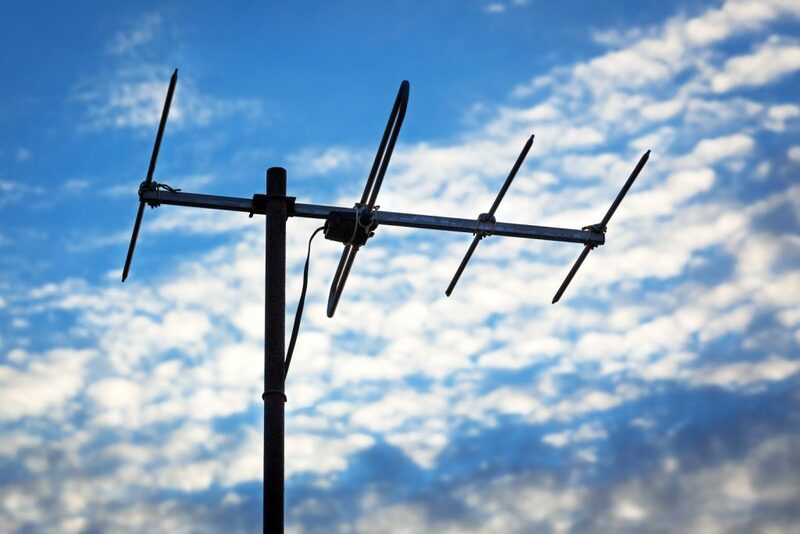 Like other types of antennas, your digital antenna is usually located outside on your roof. This helps it get the clearest possible signal. It’s connected to a cable that runs inside your home, through to your TV point so you can connect it to your TV and watch digital channels. That’s the short answer! But if you want to learn more about digital antennas, what makes them different from other antennas, and if you actually need one, you’re in the right place. This guide will go deeper into how the technology works, who uses it, and how to check whether your antenna needs an upgrade or a fix. What Digital TV Channels Can I Get in Australia? * These numbers may change, depending on your location and how you’ve tuned your TV Of course, this is not a comprehensive list – just some of the more popular channels. If you’re interested, you can learn more about digital TV in Australia or take a look at a full list of Australian digital TV channels. How Do I Make Sure I Can Receive Digital Channels? To access the above digital channels on your TV, though, you need the right equipment. First of all, your TV needs to be able to receive digital TV broadcasts. If it’s a newer model (from around the last 10 years) it should be good to go. But if you’ve got an older TV that was designed for the old analogue channels, you’ll need a set top box so your device can tune in the digital channels. Other than your TV itself, your digital antenna is the other piece of the puzzle. To understand how this fits in, let’s talk a little bit about the tech behind it. As well as frequency, the signals are either broadcast horizontally or vertically (also known as “signal polarisation”). Whether your antenna needs to receive horizontal or vertical signals will depend on the polarisation set for your local area. For example, polarisation for the main transmission tower in Brisbane is set to horizontal, whereas the main transmission tower in Canberra is set to vertical. Don’t worry. You don’t have to understand what any of this means (unless you’re really interested!). But it’s info your digital antenna tech and installation company will use to choose and set up your antenna to make sure you get a strong signal in your location. Digital signals work a little differently compared to analogue. With analogue, the signal was transmitted straight from your antenna to your TV. If you had any signal issues, you might experience some graininess and fuzziness in the sound and image. With digital, the signal that comes through your antenna needs to be decoded before you see a picture or hear the sound. Your digital antenna comes with a built-in filter to improve the quality of the picture and cut down “noise” (the fuzziness that may appear with an unclear signal). And with digital, it’s all or nothing – it either works, or it doesn’t. This means you’ll either get a good picture OR if the signal is bad, the picture might just freeze up completely. Often, with a poor signal, you won’t see anything at all. That’s why choosing a digital antenna that’s suited to your location, frequencies, and signal is so important. The right antenna will help ensure the best connection and minimal to no interruption. Are There Different Types of Digital Antennas? Indoor antennas look a bit like rabbit ears. Normally, they sit on top of your TV or close by, to try and pick up a good signal. If you live in an area with extremely good signal strength, you may be able to get away with just an indoor antenna to get most (or at least some) of the channels. But it’s likely you’ll experience more interference than if you used an outdoor antenna. It’s a lot more common to use an outdoor antenna to ensure you get a good signal with minimal interference. The most common design used in Australia is called a “Yagi,” which has long cross elements towards the back, and then narrower ones at the front. Another common design is called a “Log Periodic” which tends to be more compact than the Yagi, though similar in design. Yagis will usually get a stronger signal and are designed to receive a smaller frequency range (typically VHF or UHF only), whereas Log Periodic antennas will often get a weaker signal (often with more ‘noise’) but are designed to work across a wide range of frequencies. The other major design characteristic is the “gain” of the antenna. A high gain antenna has more elements and will receive a stronger signal, whereas a low gain antenna is less of an eyesore but may result in a weaker signal – so the signal strength to your home will likely affect which design is the best choice for you. Again, don’t worry. Your digital antenna technician will have the equipment and expertise on hand to make sure you get the best solution for your home and needs. Do I Need to Upgrade to a Digital Antenna? Any Australian household or workplace that needs to receive free-to-air broadcast TV channels will need an antenna. But you may or may not need to upgrade your existing/older analogue antenna to a newer digital antenna. Whilst it’s possible to receive digital TV transmission on an older antenna designed for analogue TV signals, the newer TV antennas you can get today are designed specifically for digital TV signals. If your current antenna isn’t picking up the right frequencies, or there’s another issue stopping you from getting a signal, a digital antenna upgrade might help. The first step is to book a professional technician to come out to your place and assess the situation. They’ll be able to tell you what the issue is and whether or not a new antenna will solve it. How Do I Diagnose a Problem with My Digital Antenna? Don’t assume your antenna is the problem. There can be other issues that might cause a signal/display issue, like the internal cabling, the lead, a TV amplifier or power supply, the connection to your TV or TV point, or your TV itself. If you can’t see an obvious issue, and you’ve followed the steps above, it’s time to call a professional technician in. Ready to Upgrade to a Digital Antenna? Is it time to enjoy more channels and the best possible signal for your TV? The team at Install My Antenna can help – we even do same day bookings! Call us for a free quote on 1300 800 123, check out all our digital & antenna services to see how we can help or jump on a live chat with us. We’d be happy to help. There’s very little we don’t know about digital antennas!